All our experienced foresters are ideally placed to identify suitable investment land country wide. The grants for landowners, farmers and investors to become engaged in forestry are substantial. The grant covers all establishment costs and annual premium is paid for up to 15 years to compensate for loss of agricultural income. There are a number of options available to suit you as the Afforestation Scheme or Native woodland Scheme. SWS Forestry offers a full development package, which includes assessment, consultation with landowner, grant application, establishment and maintenance of plantation until year 4 or until it is satisfactorily established. Many of the private forests planted in the late 1980’s and early 1990’s are now ready for first thinning. SWS Forestry offers a full range of harvesting services from inventory, road construction, harvesting, harvesting operations and sale of timber. We are actively involved in harvesting and marketing of timber to maximise return for investors. 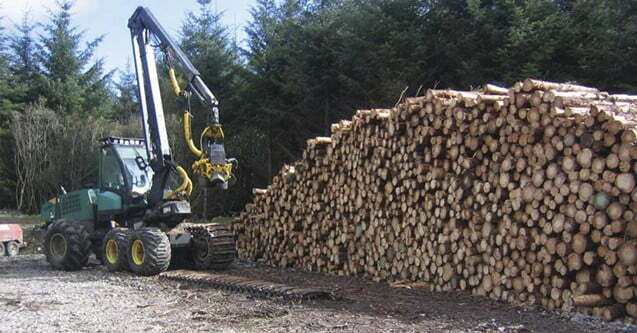 SWS Forestry is at the frontline of biomass development in Ireland with the involvement in the installation of Ireland’s first biomass Combined Heat and Power (CHP) plant in Grainger Sawmill in 2003. We hope to continue to develop local biomass markets for first thinning and maximise return for investors. SWS Forestry has a management team of experienced professionals to establish, manage and market your forestry from “Seed to Sawdust”. Contact SWS Forestry on 1800 928 900 or email as to discuss any of the services above.